I decided to take a day on the giants. They were making me angry. So, Dragon! 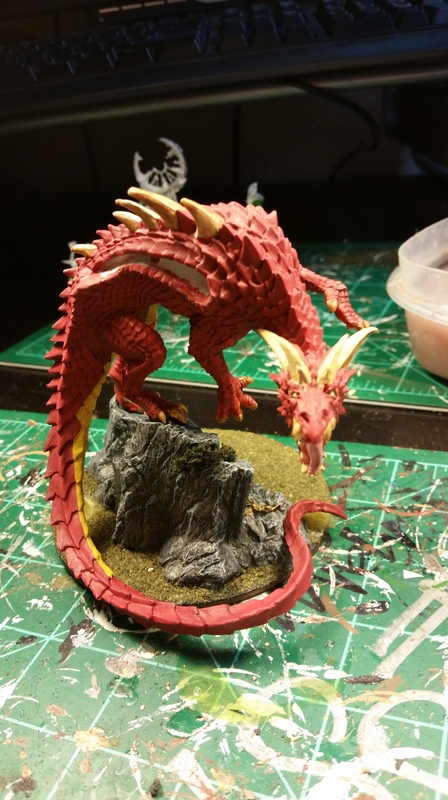 I have never painted a dragon before, in any scale, so I’m really excited about this guy! 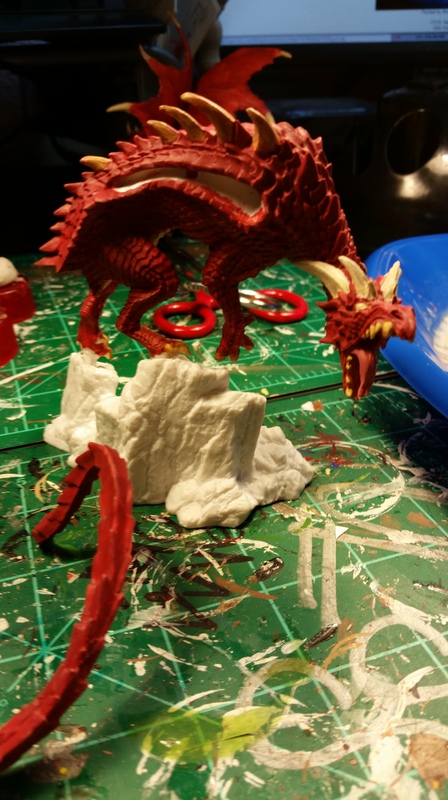 This is the Dragon that the Hubs wanted the most, and he wanted him red. I’m not good at taking WIP pictures, so bear with me. Yay! Magic base coating! 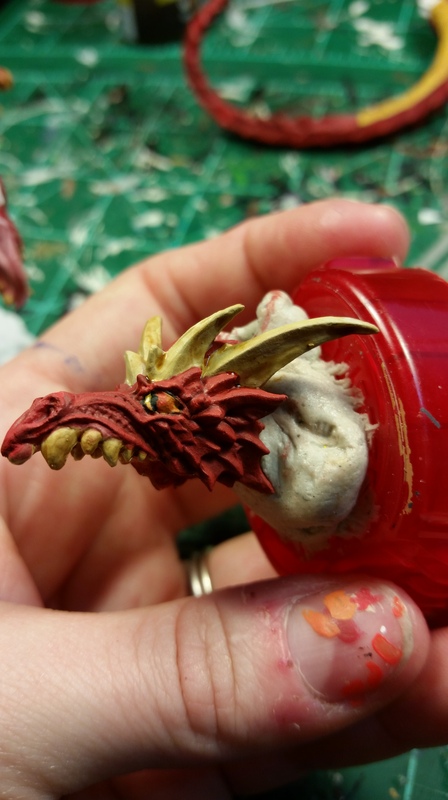 I wasn’t sure how to paint his eyes, so I went and looked at Smaug’s eyes. They’re not like people eyes, so another learning moment! Eyes! I’m going to probably tweak them, but this is the initial look. 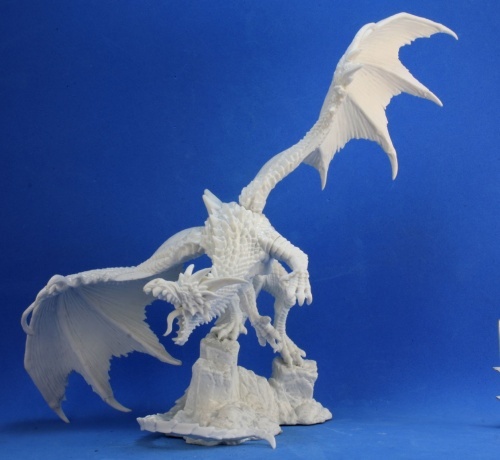 Narthrax comes with a pretty cool base. It’s rocks and rubble and goodies, so with a liberal coating of grey liner, it looks like this! Gargantuan base! He’s straddling the huge/Gargantuan line, so I decided he can be Gargantuan. Also, I like to say Gargantuan. 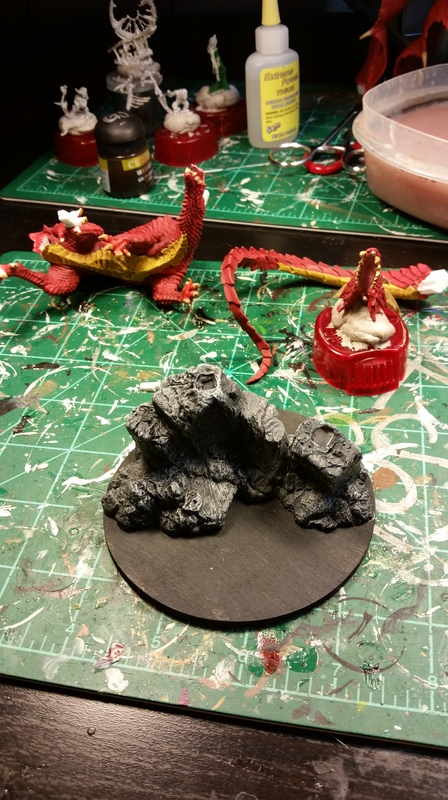 Added some grasses, some rocks and leaves and a dragon, and this is what you get! Almost done! Gotta clean a few things up, and get those wings done. That’s going to be a lot of blending, so I’m taking a break for snacks and then I’ll jump back in! Hope you enjoy!